Look, you're a nice person. And there's no denying how good looking you are. I'm sure you have a sweet spirit and you will make someone very happy someday. But your magnetism to messes? Really? It's got to go. It's just not for me. It seems like no matter how many times I clean you out, you just get trashed again…within days. It's just exhausting. And sadly, as much as I hate a messy, disorganized purse, I somehow manage to let it happen again. and again. and again. But no more. I hate to say it, but the games are done. I'm putting my foot down. This time, once and for all, I've figured out the secrets to keeping me happy, and keeping you in line. So, dear piaper bag (you like that? ), say hello to my new loves; the 4 simple tricks for keeping my purse organized – FOR GOOD. Oh, and messes? We are never ever ever ever ever getting back together. Like, ever. 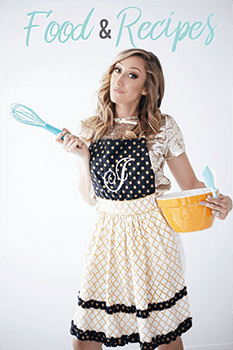 Ready to meet my tricks? 1. Put bags inside your bag. 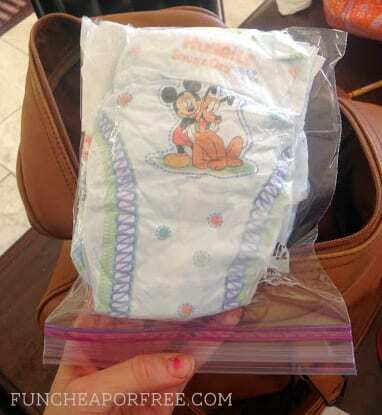 This is the mother tip, that all the other tips are based around…USE BAGS WITHIN BAGS! 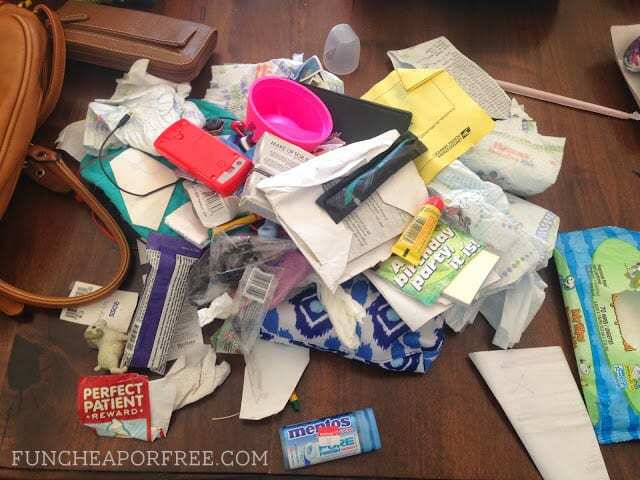 If your purse is anything like mine (please say it is, just to make me feel better about the horrific pictures above…) it can be a day-long chore looking for something important in your bag, because of all the loose crud floating around in there! By keeping things contained, it makes it much easier to grab and go. 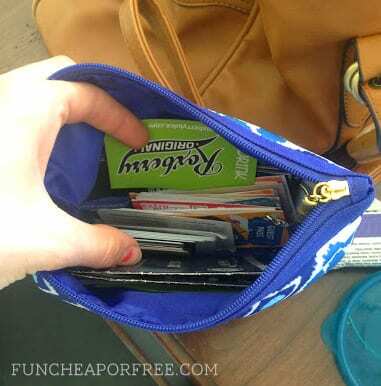 In addition to my purse pouch, I have a coupon pouch, a diaper pouch, and a purse caddy (keep reading). 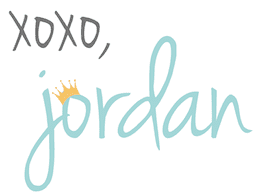 I'm sure we've all seen them, or even bought them…the adorable diaper pouches, cases, or clutches. Sure, they really are adorable! But functional? Not so much. 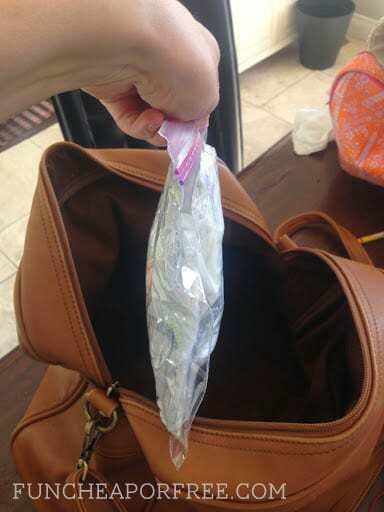 As you can see by Exhibit A (aka horrendous picture at top of post) much of my purse avalanche was due to diapers exploding from my bag. The best solution I've found? A simple quart-sized ziplock! They hold just the right amount of diapers, the bag is water proof (baby bottle leak, gas station drink spill, water bottle with the top not on tight enough sound familiar to anyone? ), and best of all, you can vacuum seal that baby. 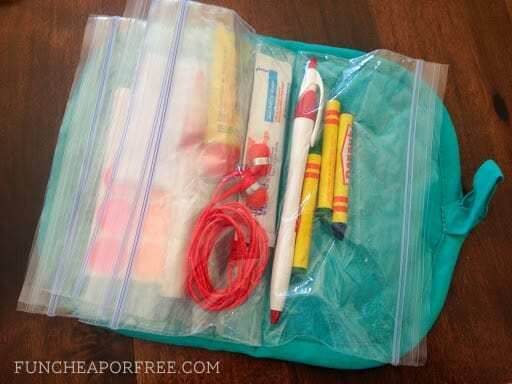 Once you squeeze all the air out it's SUPER thin and takes up hardly any space along the bottom of your bag. Poor example, but example nonetheless above. I've tried coupon binders, baseball card holders, folders, coupon accordion file thingies. None of it worked well for me. The best solution I've found? A good, old, simple (but cute, of course) mini bag. No organization, no categorizing…just toss them in. 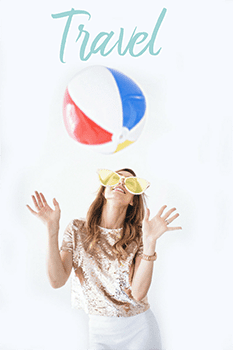 Coupon, gift card, punch card, membership card, frequent buyer something or other…toss it! It keeps it out of your (already bulky) wallet, and makes it easy to scan through and see what you have FIRST before buying something. A sub-tip: Categorize them with paper rings! I keep a small paper punch in that blue pouch (which I got for $0.50 from a thrift store, thank you very much). 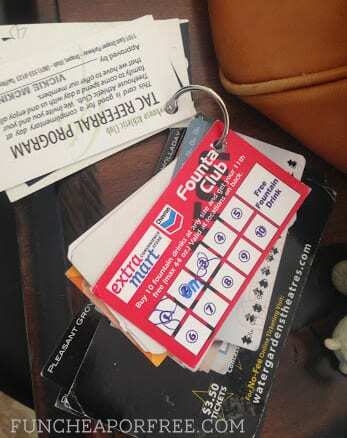 It doesn't work on plastic cards, but works great for paper ones. 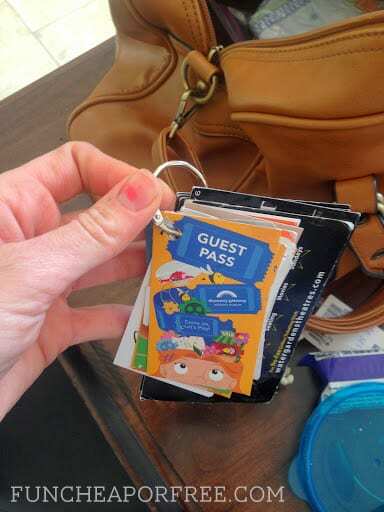 You can have a ring for restaurant stamp cards…one for guest passes…one for coupons, etc. Just grab the ring, scan through, and BAM. Saving made easy. My last tip…use a purse caddy to hold all your PURSE items! I always keep a yellow zippered pouch in my bag that has my main purse essentials in it: chapstick, lip gloss, keys, gum, hair tie, pen, and checkbook (for preschool, paying babysitters, etc), and my price-matching yard sale stickers. When I'm on a date with my hubby and don't need my entire piaper bag, I'll just grab the yellow pouch and my wallet and off we go! Or I can stick it in a cute purse, making for a 2-second purse transition. This bag isn't pictured because of this adorable pot holder purse caddy (that takes 2 seconds to make, shown HERE) that I'm giving a try instead, to see which one I like better. 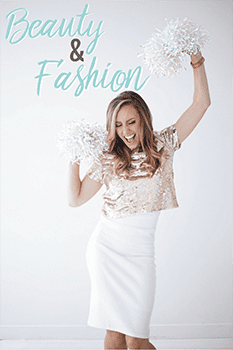 Ahhh…now don't we just feel better about ourselves?? 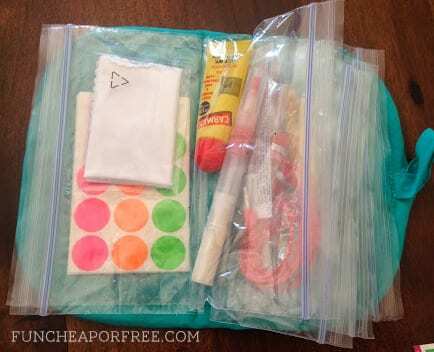 What do YOU do to keep your purse organized and happy? 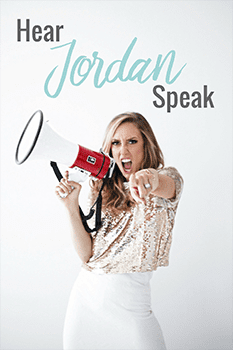 Share with me in the comments below – I love getting new tips! 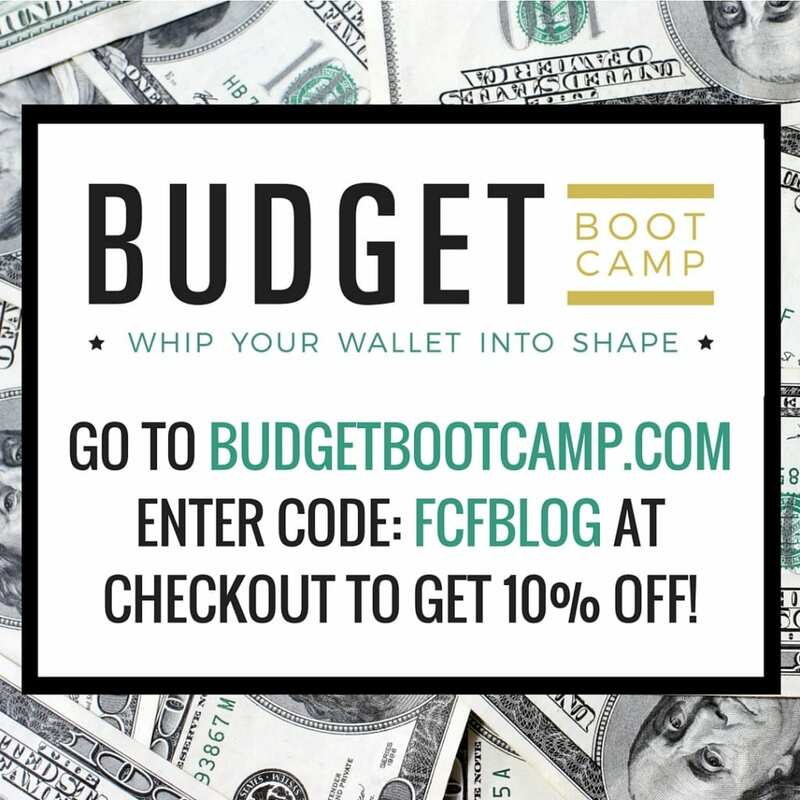 PS – While you're at it, have you checked out my brand spankin' new budgeting program, Budget Boot Camp? 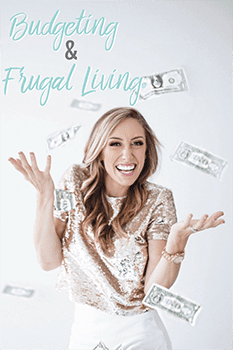 It is the fun, easy-to-stick to program where I share all my top-secret budgeting tips. It's time to whip your wallet into shape, don't you think? Everyday Makeup Tutorial – QUICK version! Now, that is how my purse always looks. Things tossed everywhere and I can never find anything. I think I will give this a try and see how it works. Thank you. I want to hug you right now!!! :) You should see my messy diaper bag, every time I try to find smth I keep repeating that I will be more organized but it never happens. this post is what I needed for so long! LOVE your honesty about things like this! 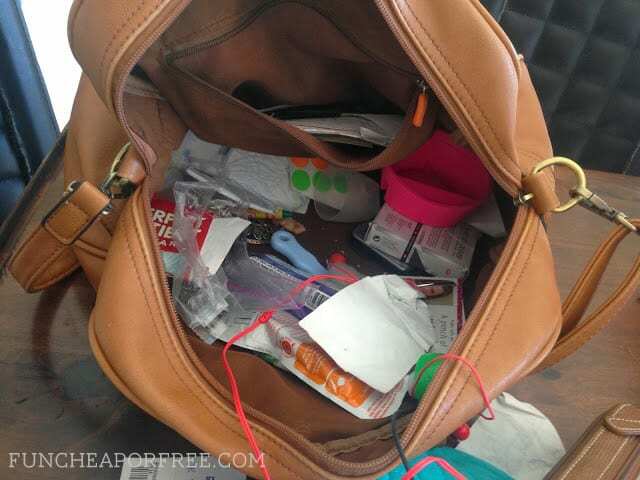 My purse/diaper bag looks like this alot. 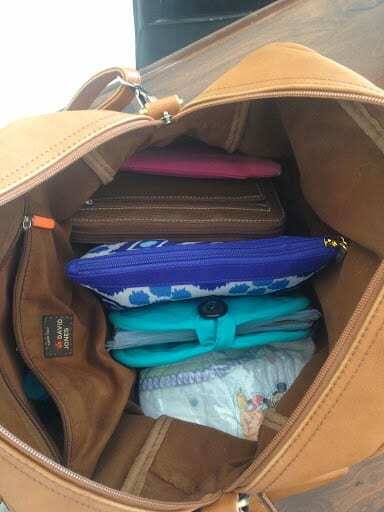 Usually these days (with an 8mth old + 4.5yo) my wallet gets taken from said messy purse and popped into BIG diaper bag when I am out on the weekends with kids. I work full time away from home, so during the week I use a real grown up purse, but weekends are a whole different story! Fabulous idea! Sadly I don’t use a purse…I’m such a minimalist. I can’t stand to lug a big ol’ mess around. But this has major possibilities, you can have everything just in case or downsize to an appropriate size for any day to day trip. If you have any ideas on where to get a cute but large purse I’m all ears! That’s definitely how my purse looked before I downsized! Glad I’m not alone. 🙂 I love your paper ring idea! I’m always searching for those dang restaurant punch cards. I’ll have to try it out! 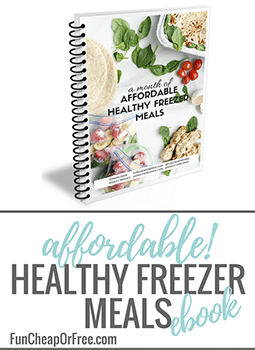 Love these ideas! I hate it when my purse looks like a train-wreck. Just found 2 new purses that I LOVE (thrift finds, yay!) and I VOW to keep them organized!!! Good ideas. I bought a purse organizer that you can transfer from one purse to another. It has a lot of pockets on both the inside and outside of it in different sizes. 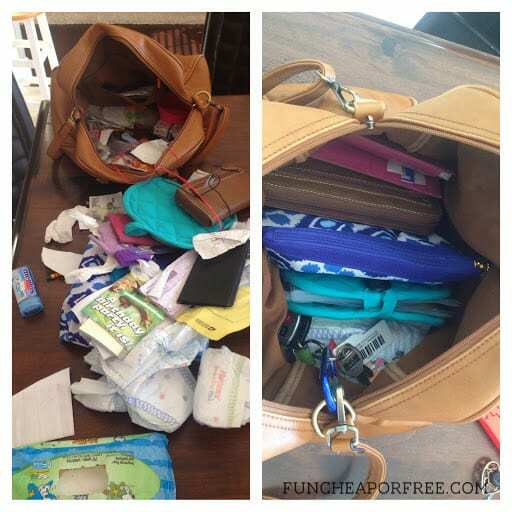 If the junk in my purse doesn’t have a designated home in one of those pockets, it gets removed. One of the best purchases I have ever made ! Where can i find a purse organizer? This post couldn’t have come at a better time! I was just looking at my bulging purse today before work and was wondering why I couldn’t find anything! Guess what’s on my to-do list tomorrow? !?! Thank you! 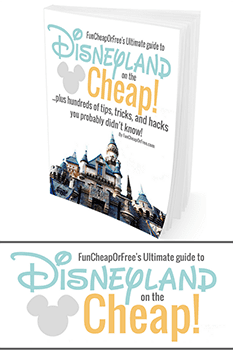 Stacy L. recently posted…Spring Mini Bucket List! 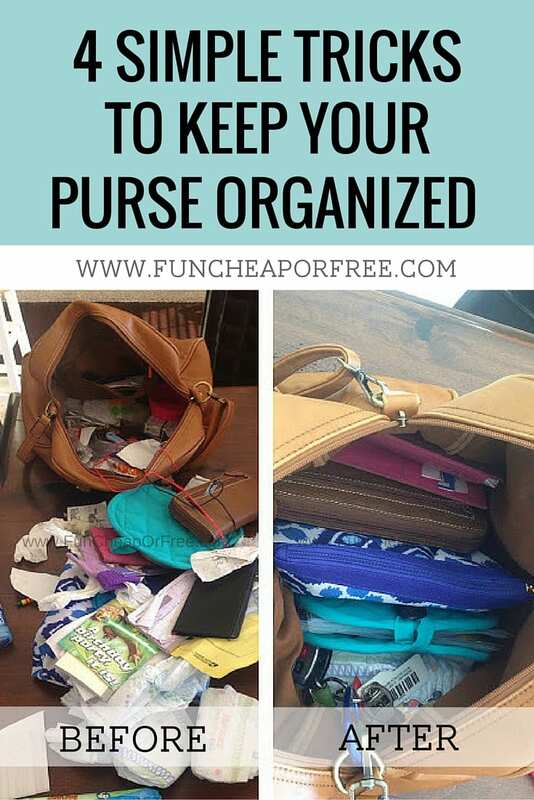 I have even purchased an “organizer purse” and everything was still everywhere! I can’t wait to try your technique. I think it will actually work! My purse looks the same. It’s sad. I see you do the same thing as me with your keys. I put them on a carabiner and clip it on to my strap. Saves me so much trouble. How did you make that pot holder pouch? That looks like a great idea within all the other great ideas.